Another finding went against trend: globally, liberals tend to accept evolution more than conservatives do; in India, 65.6% followers of right-wing politics and 60.6% of left-wing politics accepted it. Two in three Indian respondents believe in Charles Darwin’s theory of evolution, a study by Indian evolutionary biologists has found. It found 68.5% of the respondents endorsed Darwin, and notes that 99.8% of the population had said during the 2011 Census that they practise one religion or the other. This went against trends in previous studies that suggested religiosity is negatively associated with acceptance of evolution for most countries — only 32% of Americans accepted evolution, with biblical literalists favouring creation, while there was a high degree of public rejection of Darwinism in “highly religious” countries like Turkey. “In India, religiosity is positively associated with believing in evolution,” says the study, published in the Journal of Scientific Temper. Another finding went against trend: globally, liberals tend to accept evolution more than conservatives do; in India, 65.6% followers of right-wing politics and 60.6% of left-wing politics accepted it. “The findings make it clear that the theory of evolution is as much Indian as British. Rather than treating Darwinism as Western, we should continue to embrace it as similar concepts already exist and are well-documented in religious texts in Hinduism,” Felix Bast, lead author and senior scientist at Department of Plant Sciences at the Central University of Punjab, told The Indian Express. The study 1,706 respondents from 14 states and was carried out in 2015-16. 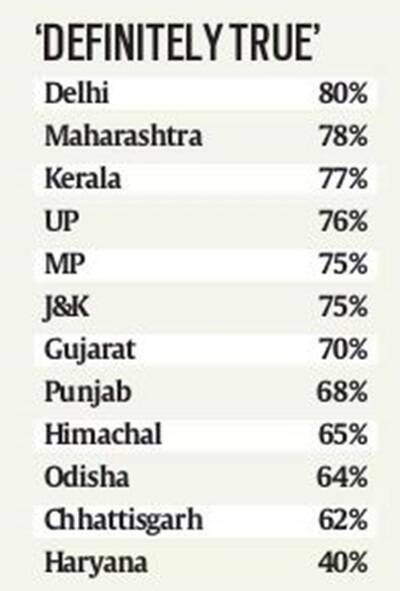 The highest level of acceptance was in Delhi (80%). Is Darwin tree of life correct? In Charles Darwin’s “tree of life” for heredity, genes and traits are passed vertically, from parent to child, and never sideways. It turns out that assumption was wrong, notes science journalist and writer David Quammen, referring to horizontal gene transfer (HGT), or genetic matter that is inherited not vertically but sideways, as a viral infection, from creature to creature, or even species to species. 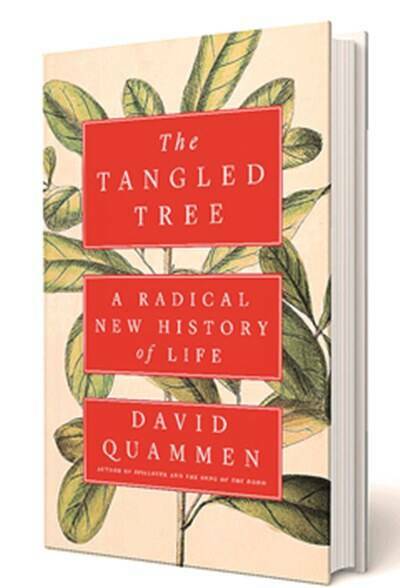 That tangles the tree of life, hence the title for the latest of Quammen’s books, The Tangled Tree: A Radical New History of Life. HGT has been known among some corners of microbiology since the 1950s, but was largely unheralded for decades. It was really the explosion of genome sequencing that revealed it during the 1990s and into the 2000s, Quammen told National Public Radio (US) in an interview. Today, it is known that roughly 8% of the human genome arrived not through directly ancestral forms, but sideways by HGT. African swine fever: Why are China and other countries culling pigs? Since last week, China has culled 25,000 pigs in four provinces to stop the spread of African Swine Fever (ASF). Romania said over the weekend that its biggest pig farm had been hit, and all 140,000 animals would be culled. On Tuesday, the UN Food and Agriculture Organisation said the Korean peninsula and southeast Asia were at risk of ASF outbreaks. The ASF virus is capable of killing every animal it infects, and the fever is very contagious. No vaccine exists, and culling is often the only effective way. The virus is present in body fluids and tissues of the infected animals, and spreads via direct contact and possibly through blood-sucking flies, ticks or other insects. The infected animals get high fever, lose appetite, start haemorrhaging, go into a coma, and die in 2-10 days. The virus is endemic in sub-Saharan Africa, but outbreaks have occurred in East Europe, Russia, China, the Caribbean and Brazil in recent decades. Earlier this year, Germany gave boar hunters free rein to kill the animals to prevent outbreaks. Unlike the H1N1 virus that causes swine flu, the ASFV does not infect humans. While early cases of human infection with swine flu were seen in individuals who had direct contact with the animals, a new strain of the H1N1 virus that emerged several years ago is able to infect humans who have not been near swine. Even though ASFV does not target humans, major outbreaks and cullings can potentially impact human food security due to lost or reduced production, and food safety if infected carcasses are not properly disposed. Bans on imports can have major repercussions on international trade. At over 400 million, China has more than half the world’s swine. ASF outbreaks resulted in the loss of several billion euros to the Europe Union in 2014.